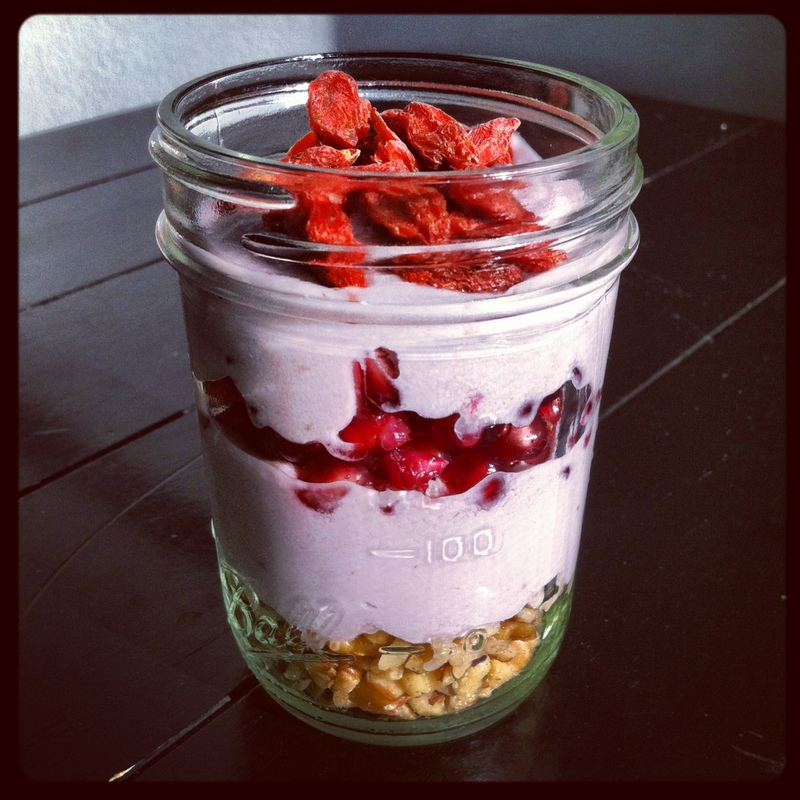 Raw Raspberry Cashew Cream. | Eat More Plants. Decided to do some experimenting today with cashew cream. And I had soaked 1 cup of cashews for 48 hours prior to finding the berries. So it all fell into place nicely. I soaked cashews for 24 hours, rinsed them and let them soak again in fresh water for another 24 hours, which is the basis of sprouting. Soaking seeds and nuts aids in the absorption of their nutrients. It makes it easier for your body to use what they have to offer. It also acts as a way to cleanse them of any chemicals or irritants that could be lingering. 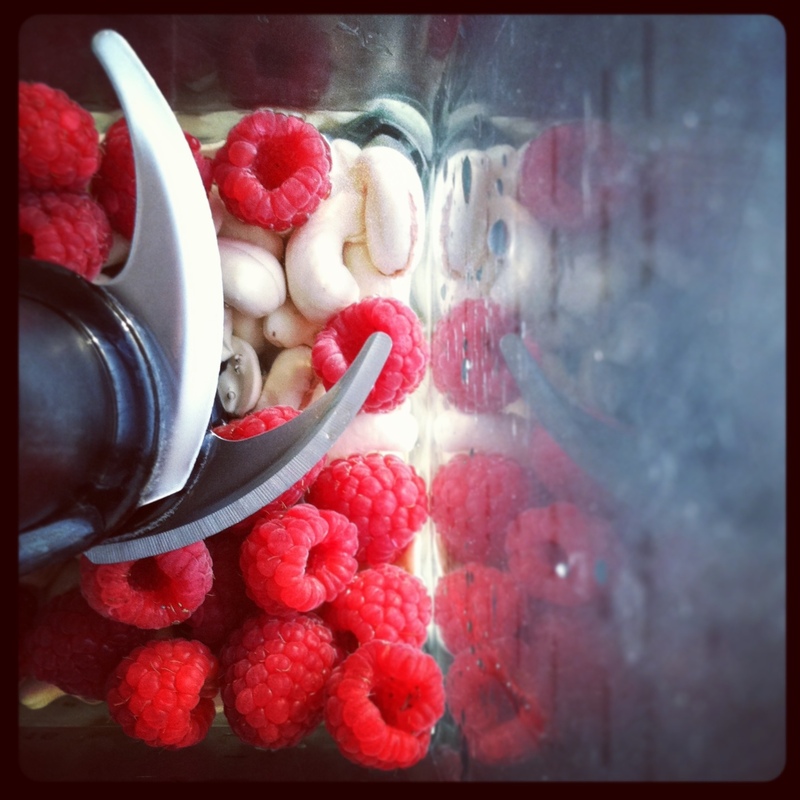 So I poured my drained cashews into my blender along with 3 tablespoons of agave syrup, 1/2 cup of water, a pinch of salt and about 3/4 cup of raspberries. I blended it for a few minutes stopping occasionally to scrape down the sides. Then I added 2 tablespoons of soft coconut oil and blended that in as well. The consistency was like a pudding, thick but not able to stand on its own. I love the flavor and the texture. It went beautifully with pomegranate, apples, goji berries in a raw coconut wrap. I also made a parfait with said ingredients and added walnuts. Yum. Mind you, this was my first attempt at free hand cashew cheese. I would like to obtain a harder cheese next time, one that could stand like a block of dairy cheddar. Will definitely have to use less water and possibly something else for stability. More recipes to come! Love your blog, pictures and recipes. Definitely inspiring.